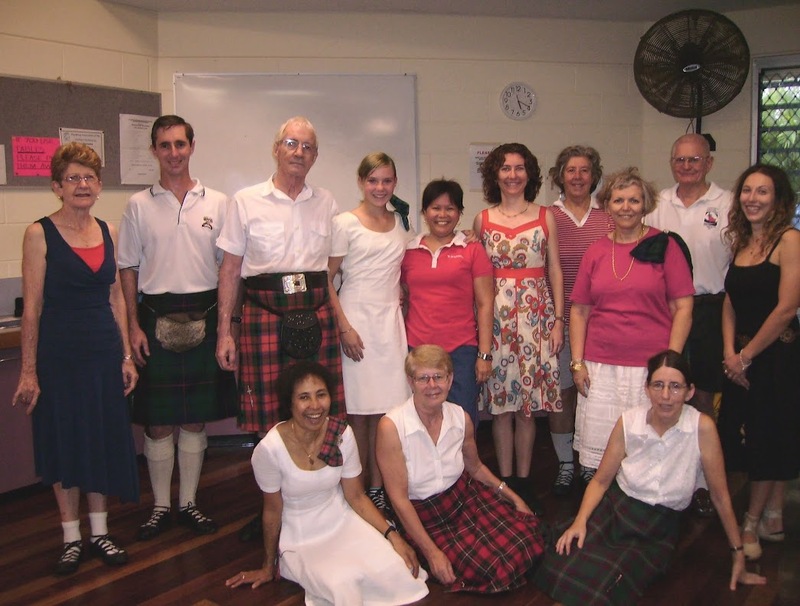 International SCD teachers get together with old dancing friends for "The Duchess Tree" at the annual RSCDS Summer School in Hamilton, NZ. 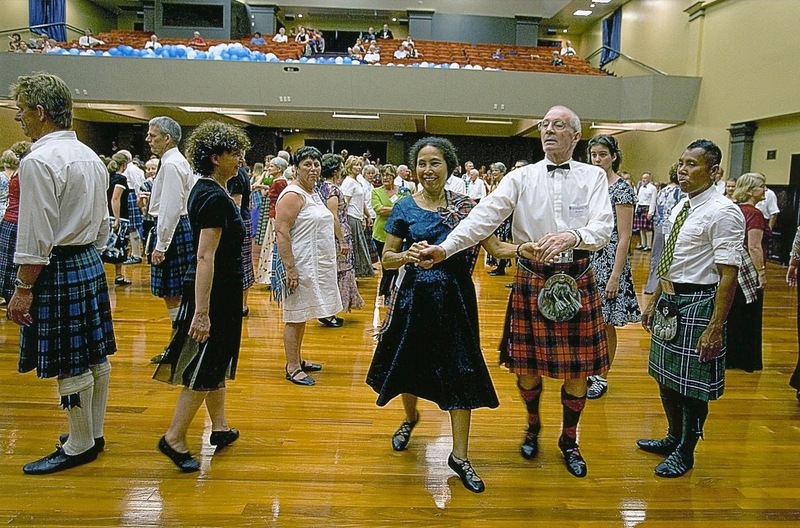 Young and old Australian and New Zealand dancers enjoying the strathspey "Cramond Wedding". 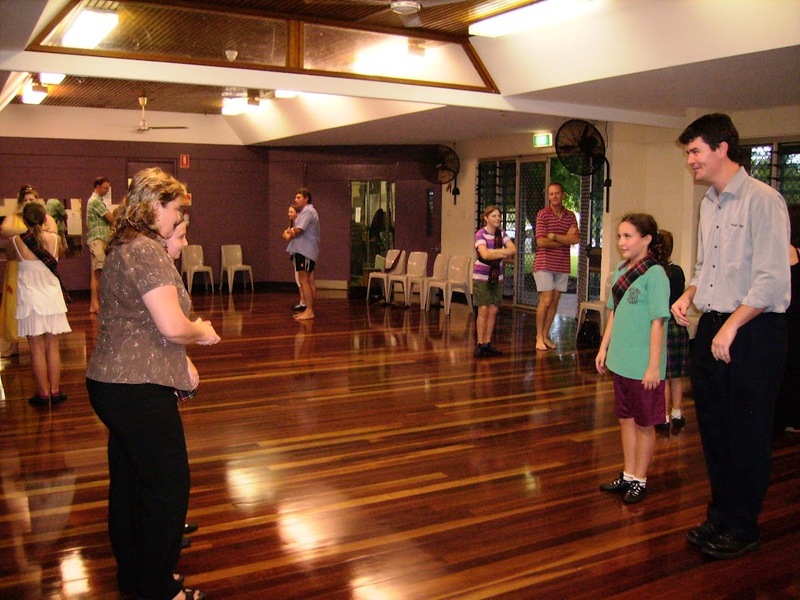 Darwin's youngest dancers introducing their parents to SCD at an afternoon special Ceilidh. 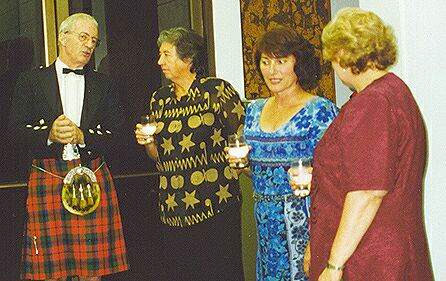 New members joining the group on completion of their Beginners Course. 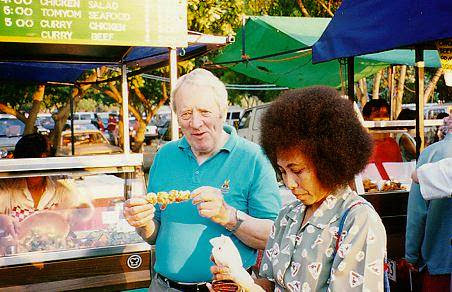 Avis at the 'Amazing Glace' stall at the Mindil Beach Markets in Darwin, which inspired John Drewry's dance of the same name in his 'Australian Book'. 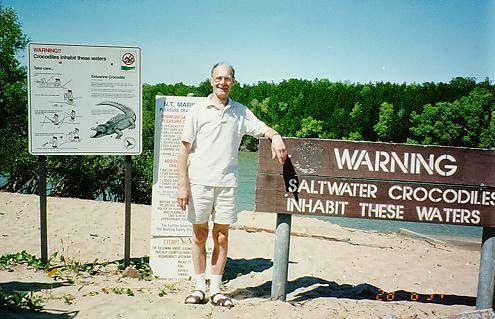 George Lawson visiting Buffalo Creek, Darwin, while Chairman of the RSCDS. 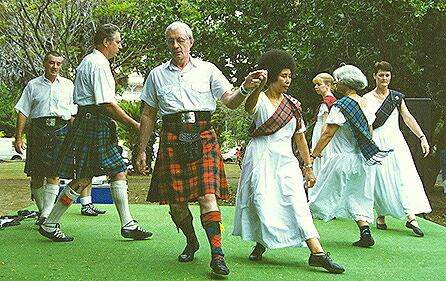 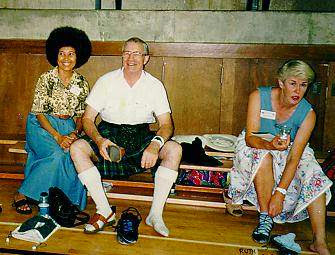 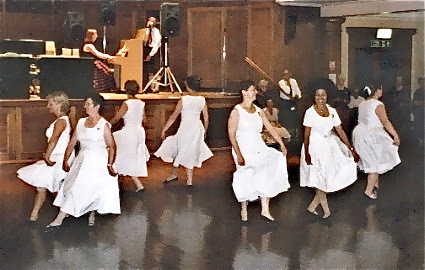 during the Branch demo team's public performance of the five core 75th Anniversary dances at the Civic Centre in Darwin, 17 May 1998. 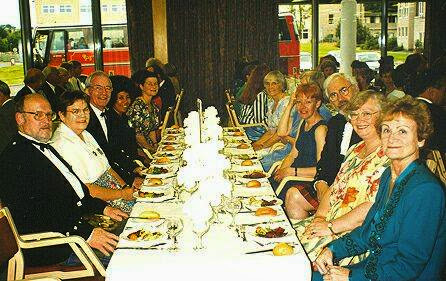 Darwin connections and others at the RSCDS 75th Anniversary Celebratory Dinner at St Andrews (first fortnight). 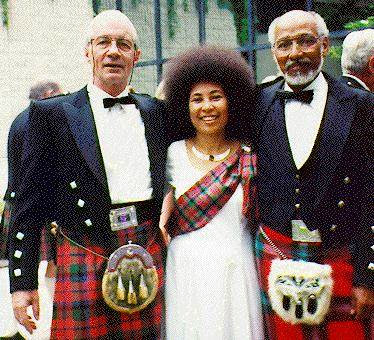 L to R: Founders and teachers of the NT Branch, RSCDS, Angus & Puka Henry with friend and fellow teacher William Nurse in Canada. 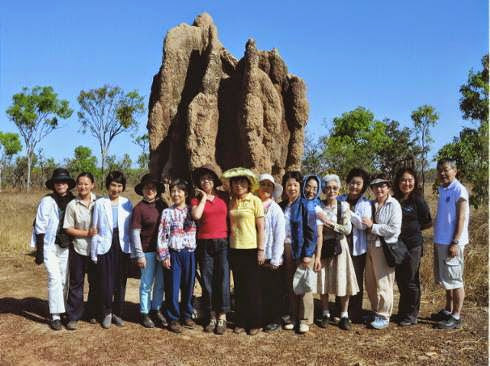 Tom Toriyama and his team enjoying the sunshine near Darwin. 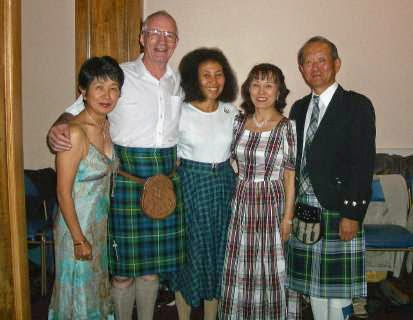 Branch founders with Noko & Ken Kasuga and Hideko Harada at St Andrews. 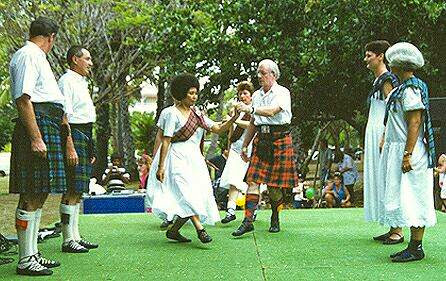 John Drewry with Puka at the Mindil Beach Markets; the inspiration for his dances 'Mindil Market' and 'Amazing Glace' (both in his Australian Book, and dedicated to Angus and Puka). 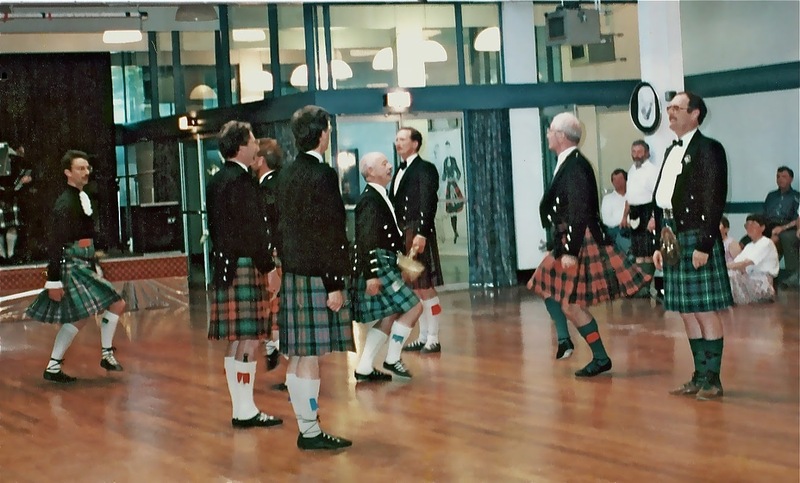 Men's "Reel of the 51st Division" demonstration team at NZ Summer School (Angus 2nd from right). 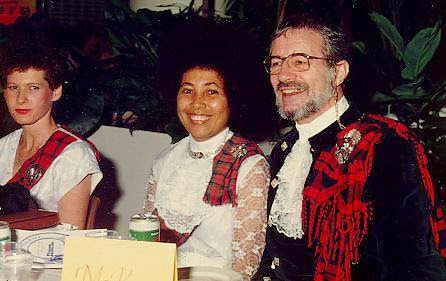 R.S.C.D.S. 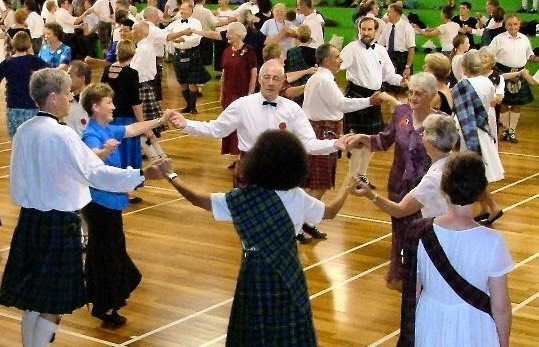 demonstration team at Younger Hall, St Andrews (Puka 2nd from right). 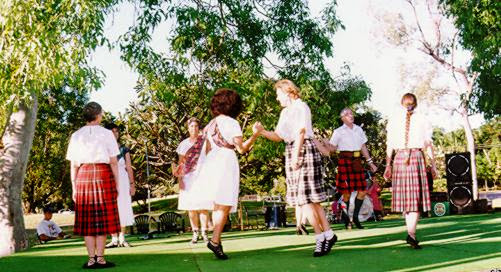 The Branch demonstration team in action at the Jingili Water Gardens. 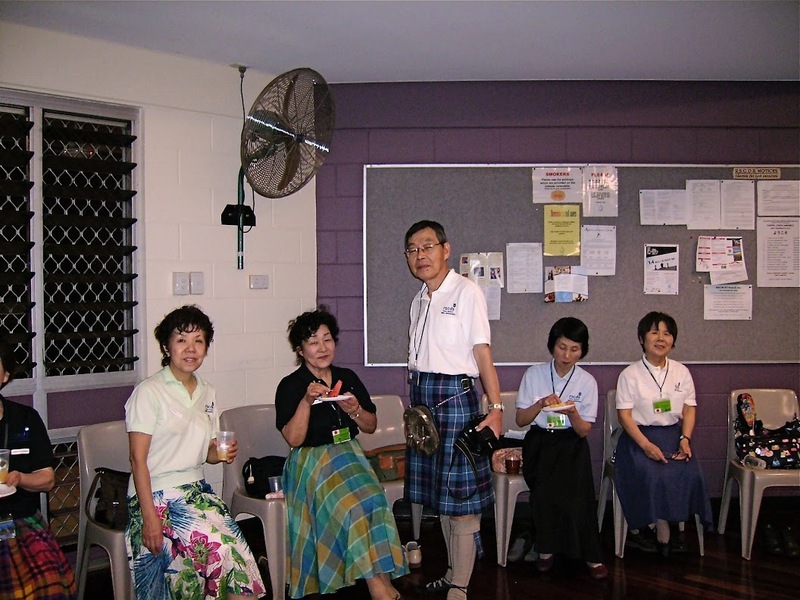 Tom Toriyama with some of his team, relaxing after dancing. 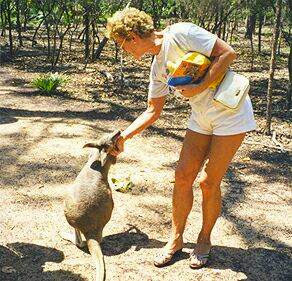 Avis Harrison feeding a local during a teaching visit to Darwin.